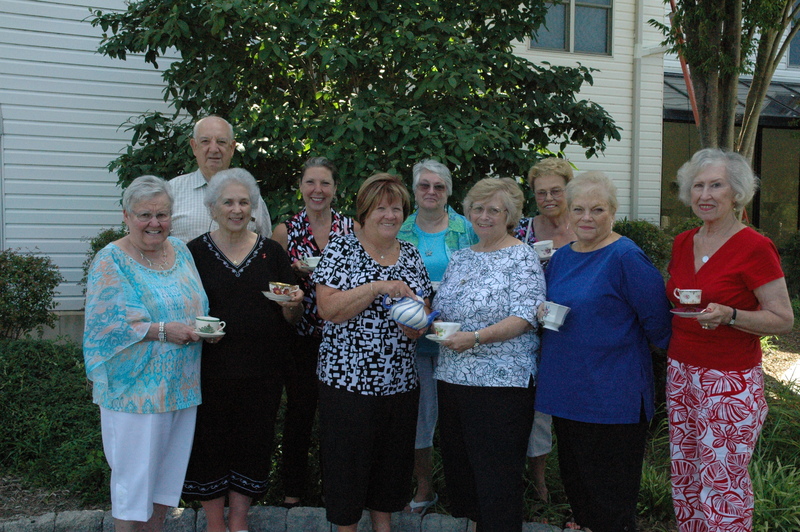 Space is still available for the popular Beebe Auxiliary annual tea. This year’s, event, which marks 80 years, will take place Sunday, October 23, at 2 p.m. at Lewes Presbyterian Church at 133 Kings Highway. Pianist Timothy Credle will play as everyone enjoys scones, sandwiches, sweets and, of course, tea and conversation. The cost is $20 a person to be paid to Beebe Medical Center Auxiliary. For information and reservations, please call Pat Sandy at (302) 226-7732 or Muriel Pfeiffer at (302) 947-2640. Caption: Tea Committee members are pictured here after an organizing meeting in August. Left to right, Back Row: Larry Burgee, Henrietta Belcher-Stack, Jacqueline Herbst, and Joan Nicholls. Front Row: Muriel Pfeiffer, Kay Burgee, Linda Dahl, Lesley Nance, B J Young, and Pat Sandy.